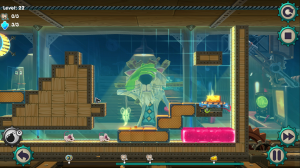 SANTA MONICA, Calif. – Nov. 13, 2014 – OUYA and Crunching Koalas today announced that quirky puzzler MouseCraft is coming to OUYA, following successful launches on PC and Sony platforms. 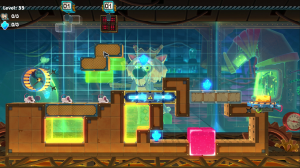 MouseCraft combines elements from the two grandfathers of the puzzle genre – the geometric puzzling of Tetris and the resource management mechanics of Lemmings – and brings them together to make something entirely new. MouseCraft will be available on OUYA on November 20 for $9.99. MouseCraft puts players in charge of the lives of three (fairly hapless) blind mice under the care of the mad Schrodinger, a mildly maniacal feline scientist. Trapped in the clutches of the conniving cat, the mice have no choice but to scamper cheese-ward, regardless of the pitfalls that stand in their way – explosives, homicidal robotic rats, electrified platforms, and vats of acid are only a few obstacles that await them. It is the player’s job to make their perilous path passable by stacking the gaming world’s most iconic blocks: tetronimos. MouseCraft features 80 unique levels, 7 different types of Tetronimos (including jellied blocks and explosive blocks) and a level editor allowing players to design their own hazardous rodent gauntlets. 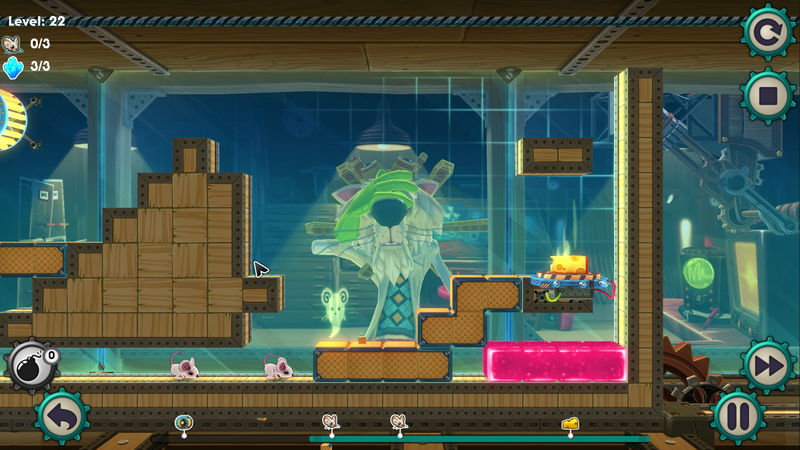 With its tongue-in-cheek, cartoonish style and customizable gameplay, MouseCraft is the ultimate game of cat and mouse. Check out the game’s trailer here: http://youtu.be/cuW5lA96B8s. Or download the press kit here: https://crunchingkoalas.com/presskit/sheet.php?p=MouseCraft. Crunching Koalas is a small, but very ambitious independent game development studio, based in Warsaw, Poland. Their mission is to deliver fulfilling experiences, by patiently crafting cheerful digital entertainment for all those who need a break. The studio was founded by five developers: Tom Tomaszewski, Lukasz Juszczyk, Kris Lesiecki, and two casual game industry veterans- Konrad Olesiewicz and Maciej Biedrzycki, founders of Codeminion and creators of many games, such as Ancient Quest of Saqqarah or Phantasmat.